CLEVELAND — A registry of businesses owned by members of the LGBT community is being developed in time for the 2014 Gay Games scheduled for the Cleveland area in August. 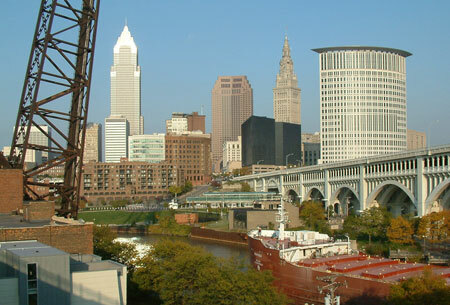 Cleveland’s Office of Equal Opportunity is developing the registry, reports the Plain Dealer. Members of the public wanting to do business with LGBT-owned enterprises will be able to find them by using the tool that is being designed in collaboration with Plexus, Cleveland’s LGBT chamber of commerce. The games are scheduled to begin August 9 and continue for a week, with athletes competing in sports such as swimming and diving, track and field, wrestling and volleyball. The registry will contribute toward a stronger business environment and more economic opportunity for Cleveland residents, Natoya Walker Minor, interim director of the equal opportunity office, said in a statement. To be listed in the registry, businesses must demonstrate that they are at least 51 percent owned and operated by an LGBT individual and located and doing business in the Cleveland contracting market. The registration application requests identification documents such as domestic partner registration, civil union or marriage certificates, joint property ownership, petition for hospital visitation rights, petition of legal name change or a letter from a recognized LGBT organization attesting to the business owner’s status, Walker Minor said. She said the registry was modeled after the National Gay & Lesbian Chamber of Commerce’s database of LBGT-owned businesses. More than 9,000 competitors from around the world are expected to attend the event with another 20,000 guests, performers, spectators and volunteers. Last month, more than a dozen taxi drivers dropped out of a dedicated cab service at Cleveland’s airport because they don’t want to drive vehicles with signs promoting the upcoming Gay Games.